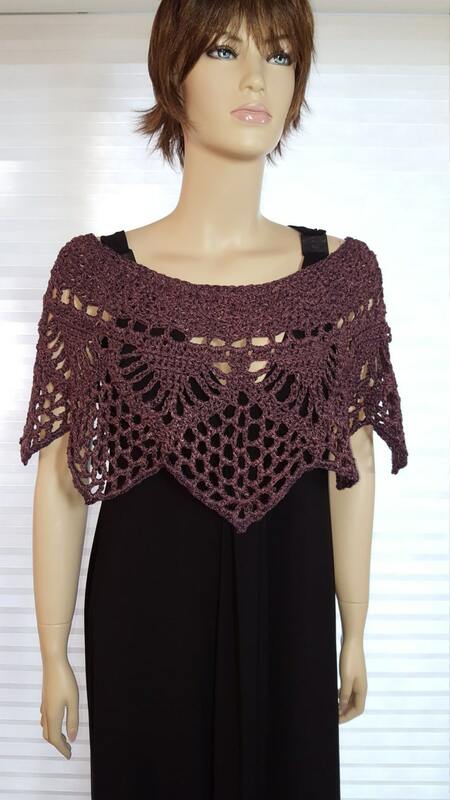 This is a crochet poncho in a lovely star shaped pattern in purple or eggplant color. 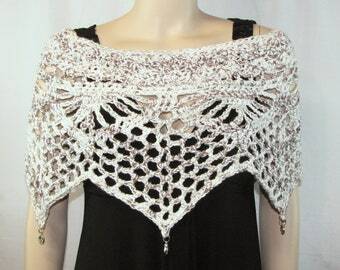 It's made of a shimmery ribbon yarn that drapes beautifully. 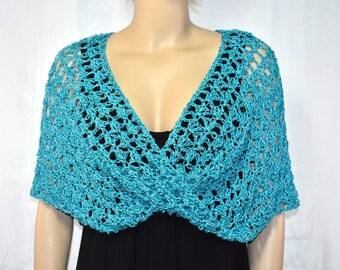 This poncho would look great over a dress, shift, halter, or tank top for a wedding, church service, party, cruise, festival, concert or everyday. It will surely attract attention where ever you go! It's a misses / ladies / women's large size (sizes 14 - 18). 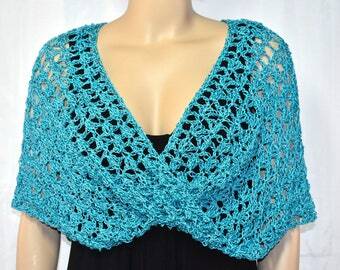 The poncho is 18 inches at neck opening (3 inch circle) and 34 inches across bottom (making a 68 inch circle). It's 14" at the longest points.